^ "Copernicus seems to have drawn up some notes on the displacement of good coin from circulation by debased coin while he was at Olsztyn in 1519. He made them the basis of a report on the matter, written in German, which he presented to the Prussian Diet held in 1522 at Grudziadz... He later drew up a revised and enlarged version of his little treatise, this time in Latin, and setting forth a general theory of money, for presentation to the Diet of 1528." Agngus Armitage, The World of Copernicus, 1951, p.91. ^ "The name of the village, not unlike that of the astronomer's family, has been variously spelled. A large German atlas of Silesia, published by Wieland in Nuremberg in 1731, spells it Kopernik." Mizwa, p. 36. ^ 5.0 5.1 5.2 5.3 5.4 Dobrzycki and Hajdukiewicz (1969), p. 3. ^ Rybka (1973), p. 23. ^ Sakolsky (2005), p. 8. ^ 10.00 10.01 10.02 10.03 10.04 10.05 10.06 10.07 10.08 10.09 10.10 10.11 10.12 10.13 Dobrzycki and Hajdukiewicz (1969), p. 4. ^ Mizwa, 1943, p. 38. 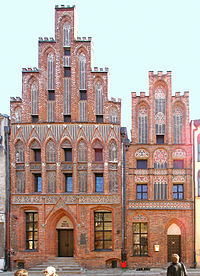 ^ "In 1512, Bishop Watzenrode died suddenly after attending King Sigismund's wedding feast in Kraków. Rumors abounded that the bishop had been poisoned by agents of his long-time foe, the Teutonic Knights." Hirshfeld, p. 38. ^ "The Watzelrodes—or Watzenrodes—in spite of their rather Germanic name seemed to have been good Poles (enemies of the Teutonic Order)." Koyre, p. 38. ^ 14.0 14.1 "[Watzenrode] was also firm, and the Teutonic Knights, who remained a constant menace, did not like him at all; the Grand Master of the order once described him as 'the devil incarnate'. 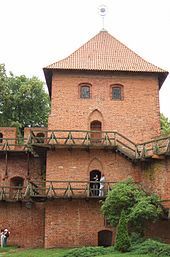 [Watzenrode] was the trusted friend and advisor of three [Polish] kings in succession: John Albert, Alexander (not to be confused with the poisoning pope), and Sigismund; and his influence greatly strengthened the ties between Warmia and Poland proper." Moore (1994), pp. 52, 62. ^ Wojciech Iwanczak. Watzenrode, Lucas. (编) Bautz, Traugott. Biographisch-Bibliographisches Kirchenlexikon (BBKL) 13. Herzberg: Bautz. 1998. col. 389–393. ISBN 3-88309-072-7 （德语）. ^ "Lucas was on more friendly terms with his successors, Johann Albert (Jan Olbracht) (from 1492 to 1501), and later Alexander (Aleksander) (from 1501 to 1506), and Sigismund (Zygmunt) I (from 1506)." Gassendi & Thill, p. 22. ^ 17.0 17.1 17.2 17.3 17.4 17.5 17.6 Dobrzycki and Hajdukiewicz (1969), p. 5. 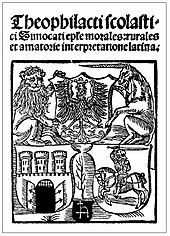 ^ "To obtain for his nephews [Nicolaus and Andreas] the necessary support [for their studies in Italy], the bishop [Lucas Watzenrode the Younger] procured their election as canons by the chapter of Frauenburg (1497-1498)." "Nicolaus Copernicus" , New Advent (online version of the 1913 Catholic Encyclopedia). Retrieved 9 June 2013. ^ "He spoke German, Polish and Latin with equal fluency as well as Italian." Stone, p. 101. ^ "He spoke Polish, Latin and Greek." Somerville, p. 10. ^ "He was a linguist with a command of Polish, German and Latin, and he possessed also a knowledge of Greek rare at that period in northeastern Europe and probably had some acquaintance with Italian and Hebrew." Angus Armitage, Copernicus, the founder of modern astronomy, p. 62. ^ 22.0 22.1 Angus Armitage, The World of Copernicus, pp. 75–77. ^ Davies, Norman. God's playground. A History of Poland in Two Volumes II. Oxford University Press. 2005: 26. ISBN 0-19-925340-4. ^ 24.0 24.1 Melkowski, Stefan. O historii i o współczesności (On History and the Present Day). May 2003 [2007-04-22]. （原始内容存档于2004-01-24） （波兰语）. ^ "Deutsch war für Kopernikus Muttersprache und Alltagssprache, wenn auch der schriftliche Umgang fast ausschließlich auf Lateinisch erfolgte." Carrier, p. 192. ^ 26.0 26.1 Rosen (1995, p. 127). ^ "It is important to recognize, however, that the medievel Latin concept of natio, or "nation", referred to the community of feudal lords both in Germany and elsewhere, not to 'the people' in the nineteenth-century democratic or nationalistic sense of the word." Johnson, p. 23. ^ Koestler, 1968, p. 129. ^ Gassendi & Thill (2002), p. 37. ^ "Kopernik, Koperek, Kopr and Koprnik in Polish—also similarly in other Slavonic languages—means simply dill such as is used in dill pickling. Be it as it may, although the present writer is more inclined towards the occupational interpretation, it is interesting to note ..." Mizwa, p. 37. ^ Angus Armitage, The World of Copernicus, p. 51. ^ 33.0 33.1 Gingerich (2004), p. 143. ^ 38.0 38.1 38.2 Czesław Miłosz, The History of Polish Literature, p. 38. ^ Dobrzycki and Hajdukiewicz (1969), pp. 4–5. ^ Dobrzycki and Hajdukiewicz (1969), pp. 5–6. ^ 43.0 43.1 43.2 43.3 43.4 43.5 43.6 43.7 Dobrzycki and Hajdukiewicz (1969), p. 6. ^ Gingerich (2004, pp. 187–89, 201); Koyré (1973, p. 94); Kuhn (1957, p. 93); Rosen (2004, p. 123); Rabin (2005). 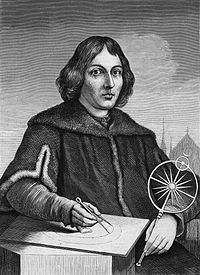 Robbins (1964, p.x), however, includes Copernicus among a list of Renaissance astronomers who "either practiced astrology themselves or countenanced its practice". ^ 47.0 47.1 47.2 47.3 47.4 Dobrzycki and Hajdukiewicz (1969), p. 7. ^ Dobrzycki and Hajdukiewicz (1969), pp. 7–8. ^ Repcheck (2007), p. 66. ^ Dobrzycki and Hajdukiewicz (1969), p. 9. ^ Oliver Volckart. 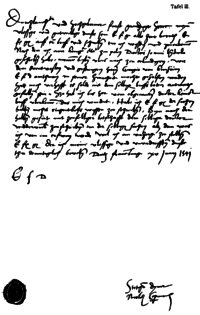 Early Beginnings of the Quantity Theory of Money and Their Context in Polish and Prussian Monetary Policies, c. 1520–1550. The Economic History Review. 1997,. New Series 50 (3): 430–49. ^ 52.0 52.1 52.2 Repcheck (2007), pp. 79, 78, 184, 186. ^ 53.0 53.1 Dobrzycki and Hajdukiewicz (1969), p. 11. ^ Angus Armitage, The World of Copernicus, pp. 97–98. ^ Angus Armitage, The World of Copernicus, p. 98. ^ Kuhn, 1957, pp. 187–88. ^ Easton, Adam. Polish tests 'confirm Copernicus'. BBC News. 2008-11-21 [2010-01-18]. ^ Gingerich, O. 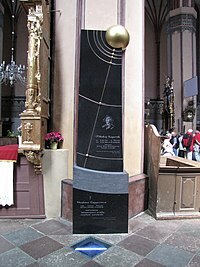 The Copernicus grave mystery. PNAS. 2009, 106 (30): 12215–12216. Bibcode:2009PNAS..10612215G. PMC 2718392. PMID 19622737. doi:10.1073/pnas.0907491106. ^ Koestler (1959, p. 191). ^ 65.0 65.1 Peter DeMarco. Book quest took him around the globe. The Boston Globe. 2004-04-13 [2013-06-03]. ^ 66.0 66.1 66.2 Donald H. Kobe. Copernicus and Martin Luther: An Encounter Between Science and Religion. American Journal of Physics: 190. ^ Rosen (1995, p. 158). ^ Rosen (1995, pp. 151–59). ^ 71.0 71.1 71.2 71.3 Edward Rosen. Calvin's Attitude toward Copernicus. Journal of the History of Ideas. 1960, 21 (3): 431–41. ^ 73.0 73.1 I. Bernard Cohen. Revolution in Science. Cambridge, MA: Belknap Press of Harvard University Press. 1985: 497. ISBN 0-674-767780. ^ Exercitations concerning the Name, Original, Nature, Use, and Continuance of a Day of Sacred Rest, Exercitation II = An Exposition of the Epistle to the Hebrews, Exercitation XXXVI, section 16 (Works, London, 1850–1855; re-issued, Edinburgh, 1862, XIX, 310). ^ Decree of the General Congregation of the Index, 5 March 1616, translated from the Latin by Finocchiaro (1989, pp. 148–149). An on-line copy of Finocchiaro's translation has been made available by Gagné (2005). ^ Heilbron (2005, p. 307); Coyne (2005, p. 347). ^ McMullin (2005, p. 6); Coyne (2005, pp. 346–47). ^ New element named 'copernicium'. BBC News. 2009-07-16 [2009-08-05]. ^ Tatsumi, K; Corish, J. NAME AND SYMBOL OF THE ELEMENT WITH ATOMIC NUMBER 112 (For Peer Review Only (PDF). ^ IUPAC News: Element 112 is Named Copernicium. （原始内容存档于2010-02-24）. Armitage, Angus. The World of Copernicus. New York, NY: Mentor Books. 1951. Armitage, Angus. Copernicus, the founder of modern astronomy. Dorset Press. 1990. ISBN 978-0-88029-553-6. Bieńkowska, Barbara. The Scientific World of Copernicus: On the Occasion of the 500th Anniversary of His Birth, 1473–1973. Springer. 1973. ISBN 90-277-0353-1. Marian Biskup. 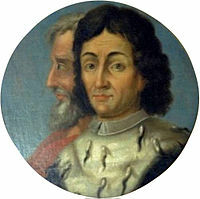 Regesta Copernicana: (calendar of Copernicus' papers).. Ossolineum. 1973 （波兰语）. Martin Carrier. Nikolaus Kopernikus. C.H.Beck. 2001. ISBN 978-3-406-47577-1. Coyne, George V., S.J. The Church's Most Recent Attempt to Dispel the Galileo Myth. In McMullin (2005, pp. 340–59). 2005. Danielson, Dennis Richard. The First Copernican: Georg Joachim Rheticus and the Rise of the Copernican Revolution. New York: Walker & Company. 2006. ISBN 0-8027-1530-3. Davies, Norman, God's Playground: A History of Poland, 2 vols., New York, Columbia University Press, 1982, ISBN 978-0-231-04327-4. Dreyer, John Louis Emil. A History of Astronomy from Thales to Kepler. New York, NY: Dover Publications. 1953 . Fantoli, Annibale. The Disputed Injunction and its Role in Galileo's Trial. In McMullin (2005, pp. 117–49). 2005. Pierre Gassendi; Olivier Thill. The Life of Copernicus 1473-1543. Xulon Press. September 2002. ISBN 978-1-59160-193-7. Gingerich, Owen. The Book Nobody Read. London: William Heinemann. 2004. ISBN 0-434-01315-3. Goddu, André. Copernicus and the Aristotelian tradition. Leiden, Netherlands: Brill. 2010. ISBN 978-90-04-18107-6. Heath, Sir Thomas. Aristarchus of Samos, the ancient Copernicus ; a history of Greek astronomy to Aristarchus, together with Aristarchus's Treatise on the sizes and distances of the sun and moon : a new Greek text with translation and notes. London: Oxford University Press. 1913. Alan W. Hirshfeld. Parallax: The Race to Measure the Cosmos. Henry Holt and Company. 2002-05-01. ISBN 978-0-8050-7133-7. Heilbron, John L. Censorship of Astronomy in Italy after Galileo. In McMullin (2005, pp. 279–322). 2005. Michael Hoskin. The Cambridge Concise History of Astronomy. Cambridge University Press. 1999-03-18. ISBN 978-0-521-57600-0. Lonnie Johnson. Central Europe: Enemies, Neighbors, Friends. Oxford University Press, USA. 1996-09-28. ISBN 978-0-19-802607-5. Arthur Koestler. The Sleepwalker. Macmillan. 1968. Koyré, Alexandre. The Astronomical Revolution: Copernicus – Kepler – Borelli. Ithaca, NY: Cornell University Press. 1973. ISBN 0-8014-0504-1. Kuhn, Thomas. The Copernican Revolution: Planetary Astronomy in the Development of Western Thought. Cambridge, MA: Harvard University Press. 1957. OCLC 535467. Lindberg, David C.; Numbers, Ronald L. Beyond War and Peace: A Reappraisal of the Encounter between Christianity and Science. Church History (Cambridge University Press). 1986, 55 (3): 338–354. JSTOR 3166822. doi:10.2307/3166822. Linton, Christopher M. From Eudoxus to Einstein: A History of Mathematical Astronomy. Cambridge: Cambridge University Press. 2004. ISBN 978-0-521-82750-8. Carlo Malagola. Della vita e delle opere di Antonio Urceo detto Codro: studi e ricerch. Fava e Garagnani. 1878. Manetho; Ptolemy. Manetho Ptolemy Tetrabiblos. Loeb Classical Library edition, translated by W.G.Waddell and F.E.Robbins PhD. London: William Heinemann. 1964 . Miłosz, Czesław, The History of Polish Literature, second edition, Berkeley, University of California Press, 1969, ISBN 978-0-520-04477-7. Moore, Patrick. The great astronomical revolution 1543-1687 and the Space Age epilogue. Albion. 1994. ISBN 978-1-898563-18-1. Ptolemy, Claudius. Tetrabiblos. Loeb Classical Library edition, translated by F.E.Robbins PhD. London: William Heinemann. 1964 . Rabin, Sheila. Copernicus. The Stanford Encyclopedia of Philosophy (summer 2005 edition), Edward N. Zalta (ed.). 2005 [2008-05-26]. Repcheck, Jack. Copernicus' Secret: How the Scientific Revolution Began. New York: Simon & Schuster. 2007. ISBN 0-7432-8951-X. Rosen, Edward. Copernicus and his Successors. London: Hambledon Press. 1995. ISBN 1-85285-071-X. Rosen, Edward (translator). Three Copernican Treatises:The Commentariolus of Copernicus; The Letter against Werner; The Narratio Prima of Rheticus Second Edition, revised. New York, NY: Dover Publications. 2004 . ISBN 0-486-43605-5. Russell, Jeffrey Burton. Inventing the Flat Earth—Columbus and Modern Historians. New York, NY: Praeger. 1997 . ISBN 0-275-95904-X. Josh Sakolsky. Copernicus And Modern Astronomy. The Rosen Publishing Group. 2004-10-01. ISBN 978-1-4042-0305-1. Sedlar, Jean W. East Central Europe in the Middle Ages 1000–1500. University of Washington Press. 1994. ISBN 0-295-97290-4. Barbara A. Somervill. 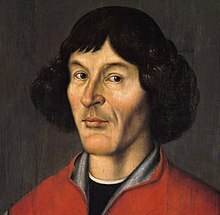 Nicolaus Copernicus: Father Of Modern Astronomy. Capstone. 2005-01-01. ISBN 978-0-7565-0812-8. Daniel Stone. The Polish-Lithuanian State: 1386-1795. University of Washington Press. 2001. ISBN 978-0-295-98093-5. Manfred Weissenbacher. Sources of Power: How Energy Forges Human History. ABC-CLIO. September 2009. ISBN 978-0-313-35626-1. ^ He used Latin and German, knew enough Greek to translate the 7th-century Byzantine poet Theophylact Simocatta's verses into Latin prose and "there is ample evidence that he knew the Polish language". During his several years' studies in Italy, Copernicus presumably would also have learned some Italian. Professor Stefan Melkowski of Nicolaus Copernicus University in Toruń likewise asserts that Copernicus spoke both German and Polish. ^ Dobrzycki and Hajdukiewicz (1969) describe Copernicus' having attended school at Włocławek as unlikely. ^ Rosen (1995, pp. 187–92), originally published in 1967 in Saggi su Galileo Galilei . Rosen is particularly scathing about this and other statements in The Sleepwalkers, which he criticizes as inaccurate. ^ Fantoli (2005, pp. 118–19); Finocchiaro (1989, pp. 148, 153). On-line copies of Finocchiaro's translations of the relevant documents, Inquisition Minutes of 25 February 1616 and Cardinal Bellarmine's certificate of 26 May 1616, have been made available by Gagné (2005). 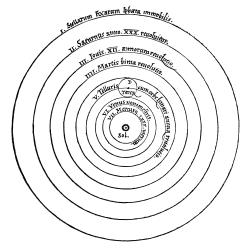 This notice of the decree would not have prevented Galileo from discussing heliocentrism solely as a mathematical hypothesis, but a stronger formal injunction (Finocchiaro, 1989, p. 147-148) not to teach it "in any way whatever, either orally or in writing", allegedly issued to him by the Commissary of the Holy Office, Father Michelangelo Segizzi, would certainly have done so (Fantoli, 2005, pp. 119–20, 137). There has been much controversy over whether the copy of this injunction in the Vatican archives is authentic; if so, whether it was ever issued; and if so, whether it was legally valid (Fantoli, 2005, pp. 120–43). Nicolaus Copernicus and the Heliocentric Universe for kids – Common Core Standards based lesson designed for students.